Asus has officially unveiled its latest laptop called the ZenBook 3. 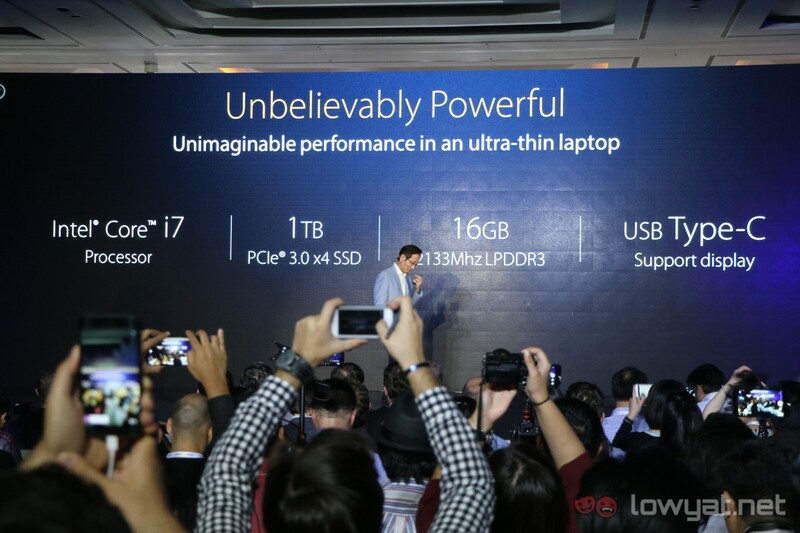 Asus’ newest 12.5-inch flagship ultrabook comes with plenty of specifications that makes it better compared to its competitors. 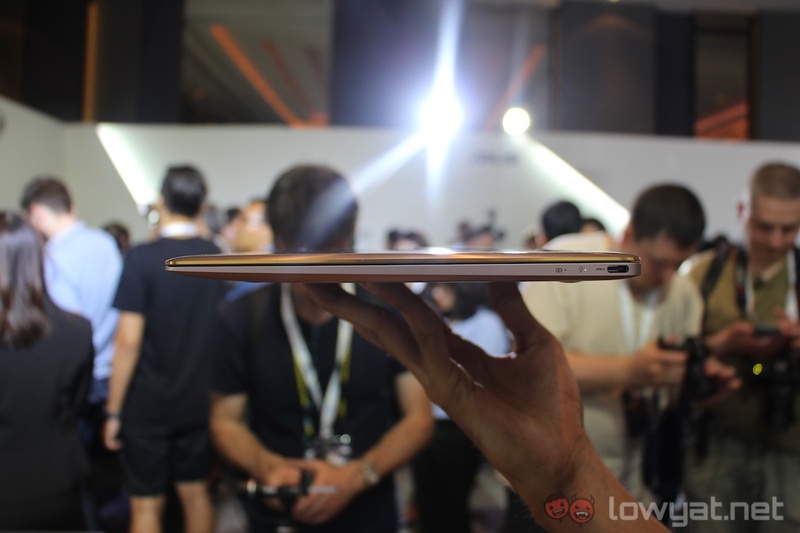 According to Asus, the ZenBook 3 weighs in at 910 grams, making it lighter than the MacBook (920 grams) – thinner too (11.9mm). When it comes to hardware, the highest-end Asus ZenBook 3 model comes with an Intel Core i7-6500U processor, 16GB 2,133Mhz LPDDR3 RAM, and 1TB PCIe SSD storage capacity. It also has a 40Whr battery that promises a battery life of approximately nine hours. 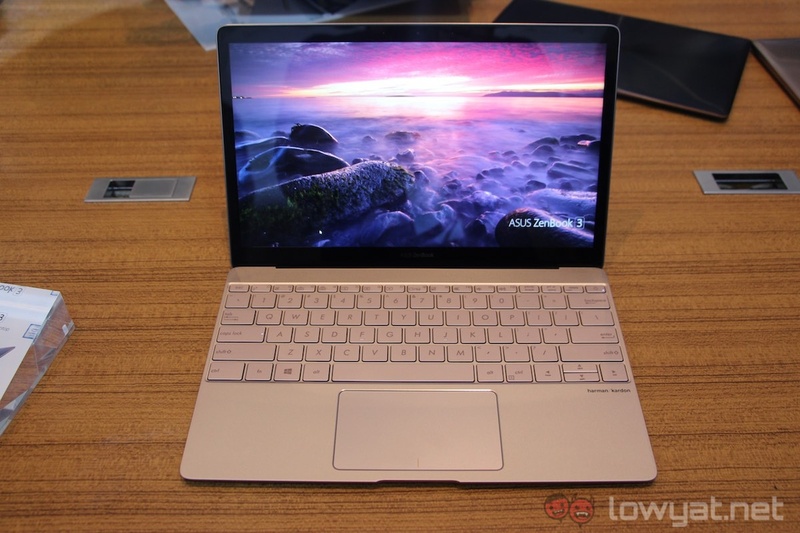 Besides that, the ultrabook also has a display resolution of 1920 x 1080 (16:9). Speaking of batteries, according to Asus, the charging mechanism used with its newest ultrabook is very efficient; so much so that the company claims the ultrabook to have a 60% charge in under 50 minutes. Talk about fast charging. 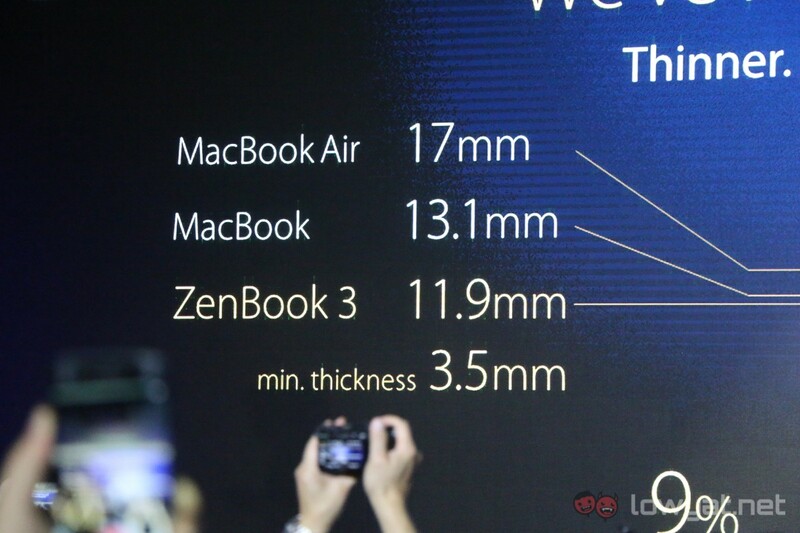 Bear in mind that like the MacBook, the ZenBook 3 only comes with a single USB 3.0 Type-C port. 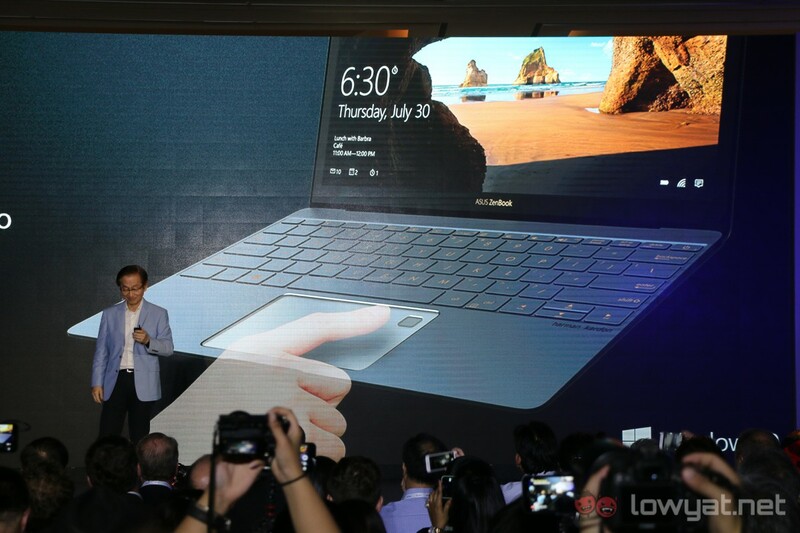 The lower-end models of the ZenBook 3 comes with an almost similar configuration as the higher-end model. The only differences being the type of processor used (Core i5 up to Core i7), RAM size (4GB up to 16GB), as well as the storage capacity (256GB up to 1TB). 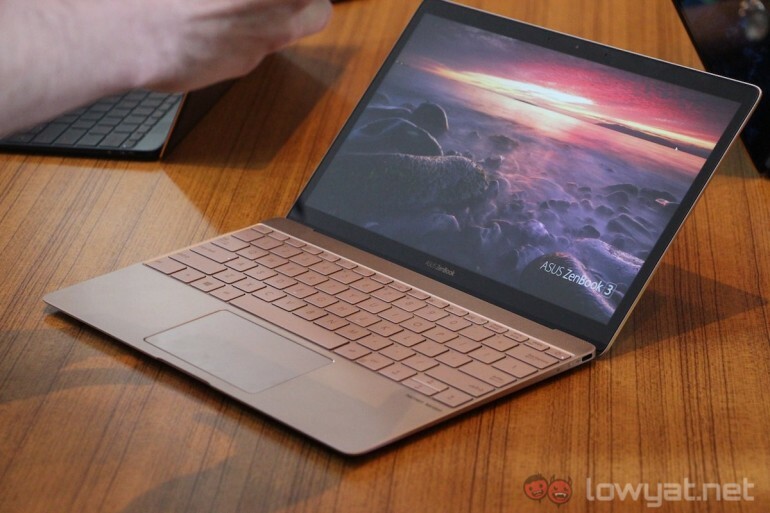 Price-wise, the lowest-end ZenBook 3 model will be retailing for a price of US$999 (about RM4,110). 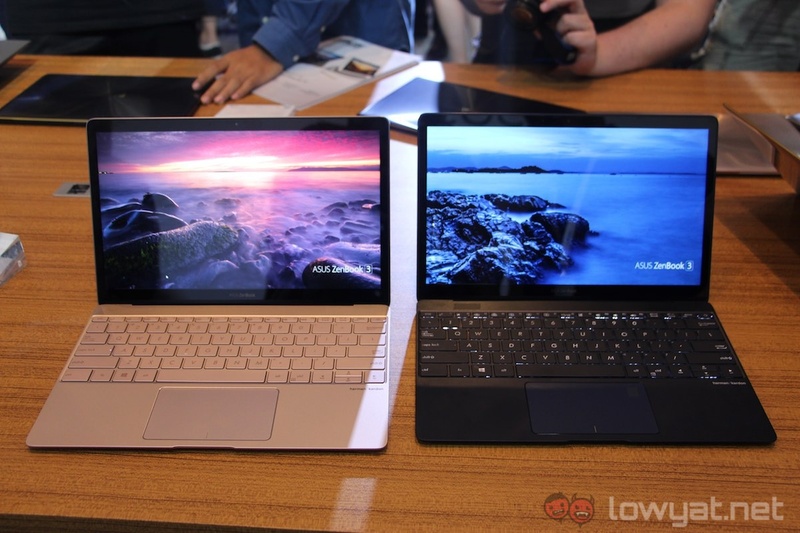 Meanwhile, other higher-end models will retail for a price of US$1,499 (around RM6,170) and US$1,999 (approximately RM8,230) respectively. 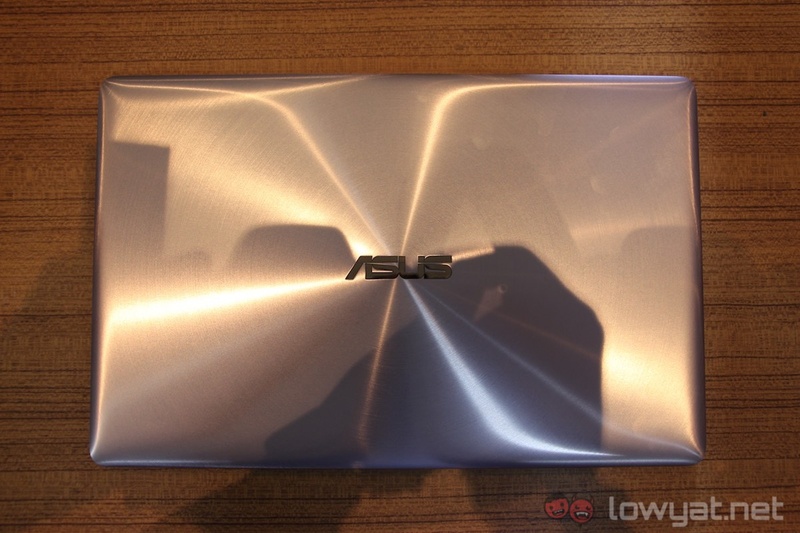 No release date was given by Asus for now, but do expect more information to come from the company in the months to come.